There are many courses claiming different results and different strategies so why should you do my course? The question is obvious and genuine. How to chose which course to enroll and whats the benefit? In plain language anyone promising/claiming that you will make more than 10% a month is not telling the truth. Read this article to know 10% a month trading stock markets is not possible. Ok why? Let me give you an example. At 10% a month yearly return is 120% (actually more but I am not counting interest on interest). At 120% return a year, after 5 years, if you start with just one lakh you will end up with Rs.30,448,163.95 (Rs Three Crore & 448,163.95). Go Google how many people on Earth actually traded stock markets with 1 lakh and make 3 crores or more in 5 years. Hell if this was possible then there would be no doctors or engineers – everyone will trade the stock markets and make crores within years. 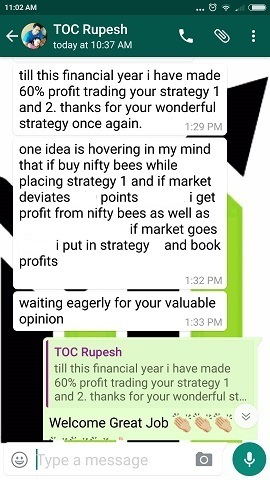 Can you see, even after doing many classes this trader lost more than what he earned. Then what is the point of doing a course if you cannot trade in live markets and make money? Disclaimer: These results are typical and its not guaranteed that every trade will produce the same or similar results. However the hedging methods in the course will help you to take such aggressive trades even with a lot of cash, because you know that capital protection is there no matter what. Smart traders will always make more. 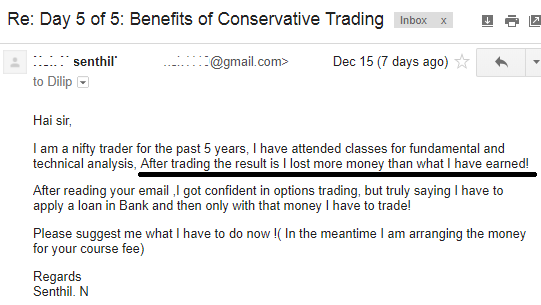 For more information on conservative trading course contact me, or Call/WhatsApp me on 9051143004. It will take you more than one hour to read testimonials. These are real testimonials – not just a plain write up and a name which you see in most other sites. What you learn from the course and how you implement them in live markets and make profits is more important than how you do the course – like from seeing videos or classroom teaching etc. And do not forget my support for one year on whatsapp, phone and email that a classroom teaching cannot provide. 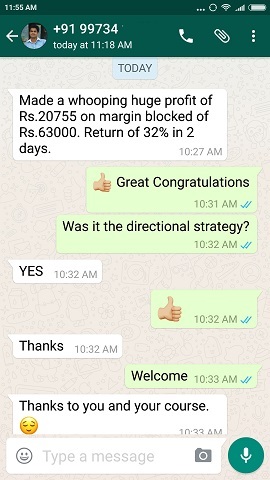 For ex on Wed, Mar 28, 2018 at 10:59 AM I sent an email to my paid subscribers with name of a stock that is trading at 300+ which will be 400+ in one year time. This is almost 33% return. 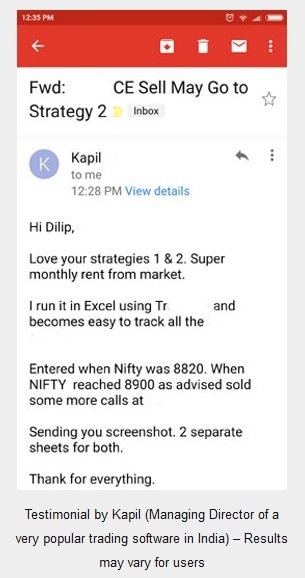 This is extra information that I keep sending to my paid subscribers that you are missing along with 2-3% a month you can make trading options. 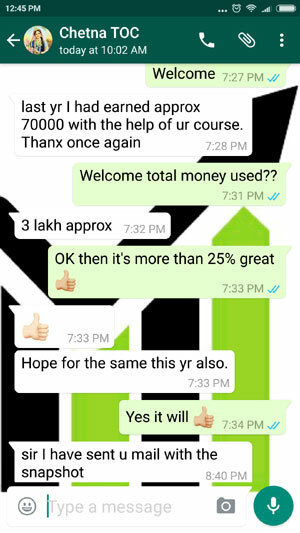 You can pay now and enroll for the course and turn your trading account from red to green with the strategies you get. If you pay email me with the payment information so that I start your course.